The fear index shows the way. The VIX Reversal strategy was developed by trader Dr. Thomas K. Carr. The strategy is based on the VIX index, also called the fear index, distributed by the Chicago Board of Trade (CBOT). The VIX is an indicator of volatility. Usually, when the VIX index goes up (read: when anxiety increases) the markets go down. It can be used for daytrading. It is based on a neutral source of information, the VIX. It is suitable for trading large, volatile stocks quoted on the U.S. markets. It was designed by a famous trader. It is integrated in the platform. Dr. Thomas K. Carr uses his strategy for daytrading purposes on large, more volatile stocks which are included in the Nasdaq, Dow Jones and S&P 100 market indices. Stocks such as Apple, Google, Cisco have a good weight in the relevant index and tend to move with the market. On some occasions they may even be the source of a market movement. The VIX Reversal strategy is one of the many free trading strategies integrated in the NanoTrader Full trading platform. 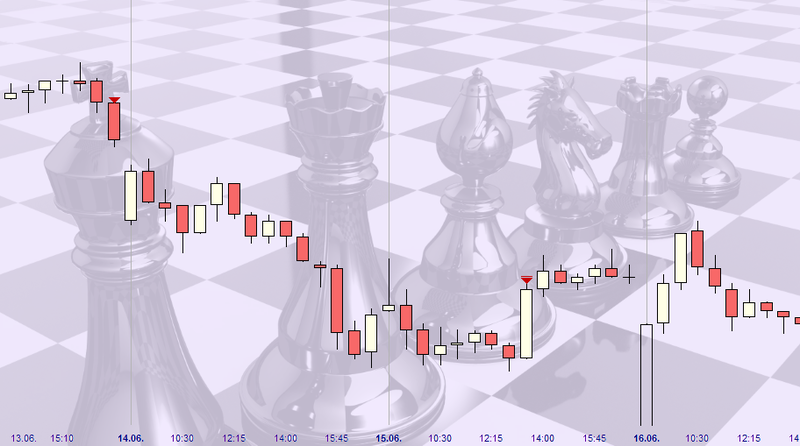 The strategies can be traded manually or (semi-)automatically. Programming is not required. This example shows a trading day on McDonald’s. There are a total of 5 signals: 2 buy signals and 3 short sell signals. The strategy is either always long or short i.e. a short position is closed by opening a long position and vice versa. The final short position is closed automatically by the platform just before the market closes. The second window shows the VIX. The third window shows Carr’s signal based on the VIX. The fourth window shows the trader’s equity curve. The first three trades make a loss but the loss is made good by the 4th and the 5th trading signal. At the end of the day the result is positive. The percentage of profitable trades for the VIX Reversal strategy differs from stock to stock but tends to lie in the 40%-50% range. There are thus on average more losing trades than winning trades. This example shows the result for Microsoft over a 1-month period. This example shows the result for Apple over a 1-month period. This example shows the result for Google over a 1-month period. This example shows the result for Cisco over a 1-month period. This example shows the result for McDonald's over a 1-month period. This example shows the result for Amazon over a 1-month period. The VIX Reversal trading strategy from Thomas K. Carr is convincing. This trading strategy is suitable for traders who want to trade American stocks. In order to limit losses it is advisable to trade two or three stocks in parallel. An additional advantage is that traders will progressively develop their instinct for the Nasdaq index. It is undeniably so that the VIX Reversal is a reliable indicator to successfully trade American stocks. Beginners must not be discouraged by the percentage profitable trades < 50%. What counts is the relative size of the winning trades and the losing trades. At 3 to 5 orders per day per stock it is also relevant to keep an eye on the order commissions, which can impact the strategy’s return. NanoTrader platform users can use the strategy as defined by Dr. Thomas K. Carr or they can modify the strategy. Without programming it is possible to add, for example, different stop orders, automated targets, time filters etc.